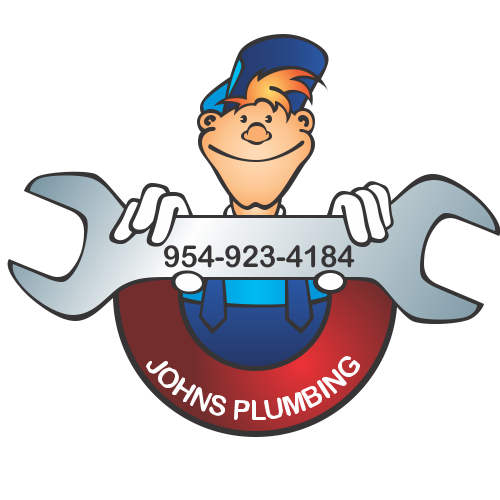 For a Plumbing Service in Ft. Lauderdale that you can rely on, contact the experts at John’s Plumbing. We are a licensed, bonded and insured company that provides you with top-quality plumbing when you need it most. Feel free to contact us any day at any time and one of our knowledgeable representatives will provide you with quick and effective assistance for any of your plumbing issues. Whether you have a minor leak or need a full kitchen remodeling, you can count on John’s Plumbing to provide you with quality services for an affordable price with no hidden fees. 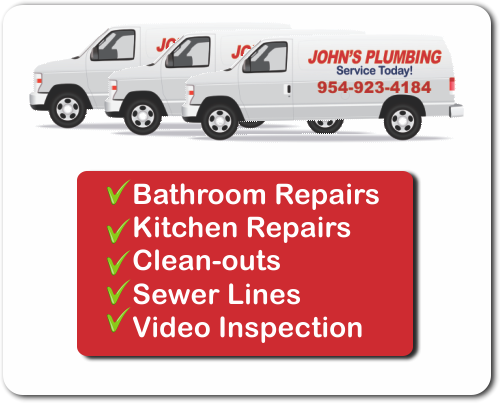 Plumbing Service Ft Lauderdale - Johns Plumbing - Our Plumbers Are Ready To Help You! 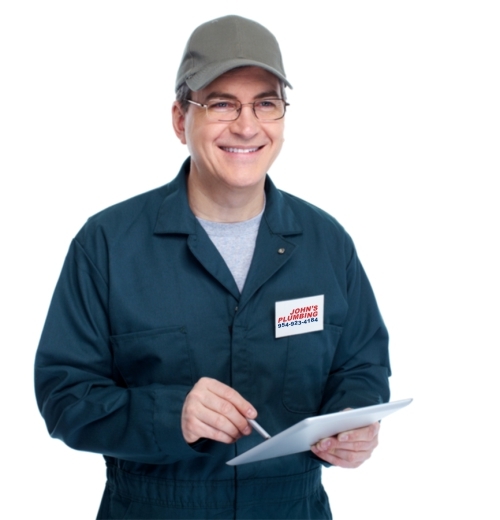 At John’s Plumbing, we provide free estimates for all repair and remodeling jobs you need done. We handle bathroom remodeling, toilet, sink and other water leaks, and hot water heater repair. All of our technicians are licensed and certified in their field of expertise so the quality of our work is always guaranteed. Our Plumbing Service in Ft. Lauderdale will handle any plumbing emergency you might have and we will be able to take care of it even in the middle of the night. No job is complete until you are 100% satisfied with our work so do not hesitate to let us know what you think. Our reputable company has been in business since 1984 and we have the knowledge and the experience to prove why we have been a successful business for so long. We have learned how to best handle any, and all of your plumbing issues and we only use the highest quality and most durable materials to ensure that the work we do for you will last. We promise to provide you with one of the best plumbing and remodeling services in the area at one of the lowest rates around. You can trust our years of experience, countless certifications and positive reputation to give you the quality services you deserve 24/7. Call us, today, to learn more!